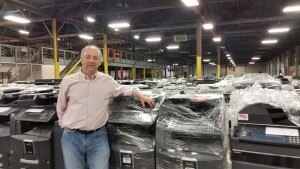 Thousands of Used Copiers for sale. With over 100,000 sq. ft. of warehouse space and over 3,500 used copiers in stock we have become one of the largest copy machine distributors. Our goal is to “Provide our customers with the best copiers at fantastic prices” that’s why we keep thousands of used copiers in stock every day. Our skilled sales team is dedicated to buying copiers that will provide our customers with a solution to their printing needs, quickly and affordable, and our on-site technicians evaluate and restore these large office machines before the product leaves the warehouse. Whether you are interested in buying or selling, 1 or 500 copiers, the staff at Town Business Center looks forward to assisting you every step of the way. Contact Us at your earliest convenience and we will be happy to help you. Do you have a copier you want to SELL, or do you know a company that may be going out of business? We will give you CASH for your used copier and handle the transportation for you! 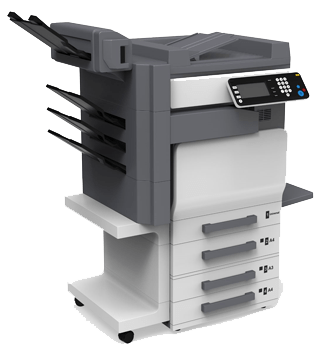 We aim to purchase large office copy machines in bulk or by the lot, and as a trusted supplier and veteran to the business, we guarantee to give you top dollar for your equipment. Do you know a company that is just getting started or planning to expand? Refer them to Town Business Center and direct them to view our vast selection of inventory. Give Town Business Center a call, we are looks forward to assisting you every step of the way. We Have Thousands of Used Copiers Used Business Machines and Used Copy Machines and we have them in stock. Have a Business Machines you need to sell, call us today at, 570.602.1640. One of our priority as a copier remarketer is to provide a fast turnaround on your used copiers, with our focus on maximizing ROI.